Grace Appoints Jag Reddy to New Strategy and Growth Leadership Role | W. R. Grace & Co.
COLUMBIA, Md., Sept. 05, 2018 (GLOBE NEWSWIRE) -- W. R. Grace & Co. (NYSE: GRA) today announced the appointment of Jag Reddy as Vice President, Strategy and Growth, a new position within Grace. He will lead Grace’s strategy and growth process, with a focus on organic growth and innovation. He will address key growth priorities, including strengthening the company’s innovation, commercial and manufacturing capabilities, and will help further implement the Grace Value Model. He reports to President and Chief Operating Officer Hudson La Force, who will succeed Fred Festa as Chief Executive Officer on November 8, 2018. W. R. Grace & Co. appointed Jag Reddy as Vice President, Strategy and Growth. 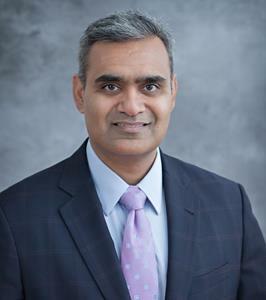 Most recently, Reddy served as Vice President and General Manager, Water Technologies Strategic Business Unit, and Vice President, Corporate Strategy at Pentair PLC. Previously, he held strategy and business leadership roles at ITT Corporation and its spin-off, Xylem Inc. Before that, he held various strategic and business leadership roles with United Technologies Corp., Danaher Corporation, and Denso Corporation. Jag earned his MBA in Finance and Strategy from Northwestern University’s Kellogg School of Management. He also holds a master’s in Engineering Management from Northwestern’s McCormick School of Engineering; an M.S. in Industrial Engineering from the University of Tennessee; and a bachelor’s degree in Mechanical Engineering from Sri Venkateswara University, India.